There are times when life throws all of us a curve ball and we find ourselves trying to figure out how to make do with what just happened. Sometimes our usual way of dealing with a problem just doesn’t seem to work with this new dilemma. Situations like these are a great time to get a new perspective from someone who has the experience to help you. Dan is a Licensed Clinical Professional Counselor with over 10 years of experience helping adults, children, and adolescents to reach their potential. He has helped people with a variety of concerns and prides himself in providing the best care he can to each and every person. So, what should you expect in working with Dan? When you begin therapy with Dan you will quickly see the difference in the care that he has for those he works with. Dan is very open and genuine. Within a validating and empathic environment, you will receive personalized time and attention to you and your focus of treatment. Dan begins first by building a warm and trusting relationship with you so that you can feel comfortable in exploring the topics you wish to master. Next, clients are encouraged and guided to set goals that are specific and achievable so that you will better see the results you desire. Then, you will walk through a process of self-discovery together, which will provide information you can use to better yourself. Reaching your potential begins by first examining your current situation. After a thorough evaluation of your circumstances, Dan will work with you to identify treatment strategies that are unique to you. Then, as a team, you will design solutions that can be applied to help you overcome some of the barriers you encounter. Dan will give you skills to help you successfully manage the situations you face. In the times when we may not be able to exert any influence around us, Dan can help you to think and feel in new ways that can make you more at ease and feel better. 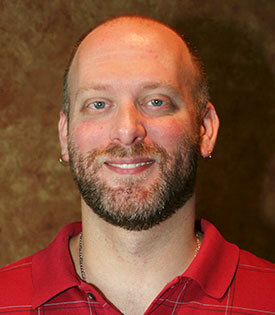 Dan specializes in providing individual, family, and marital/couple’s therapy to adults. A significant portion of his expertise also involves providing therapy to children and adolescents. When working with younger clients, Dan uses individual, family therapy, or a combination of both to enhance treatment progress. He is trained and skilled in many treatment approaches. Dan often uses a client-centered approach, which allows you to play an active role in your treatment. He will tailor the treatment style to fit your particular needs or preferences.